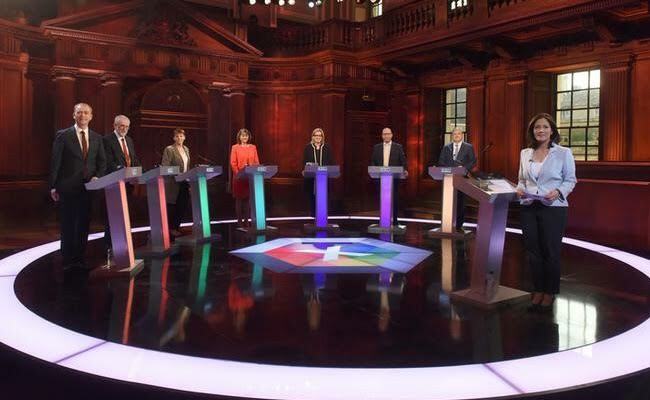 UK election: Britain is holding snap polls after over four decades. 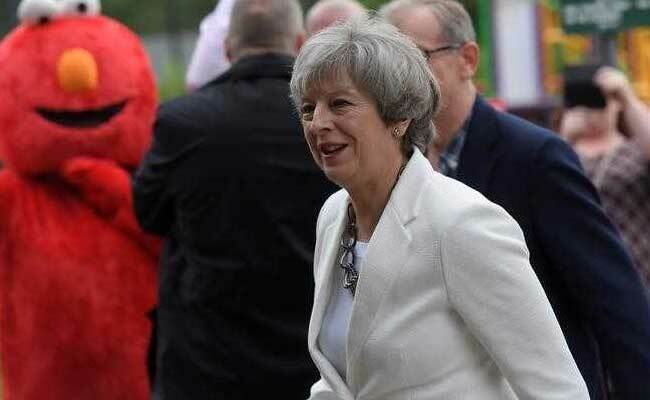 Exit polls of UK elections favour Theresa May continuing her term as Prime Minister. The snap elections were announced by May on April 18. This elections determine who gets to negotiate Britain's departure from the EU over the next two years, and the strength of mandate that the government will have in parliament for five years. Chief contenders for the post are Theresa May, representing the Conservatives, against Jeremy Corbyn from Labour Party. May's popularity had seen a dip in the past three weeks. The counting began immediately after the polls closed and by dawn the picture of who has won should be clear. The British currency was trading at $1.2751, down 1.5 percent from the day-before level. The exit poll predicted the Conservatives would win 314 seats and the Labour Party 266, meaning no clear winner and a "hung parliament". Political deadlock in London could derail negotiations with the other 27 EU countries ahead of Britain's exit from the bloc, due in March 2019, before they even begin in earnest. Sterling falls after UK election exit poll shows PM May short of majority, reports news agency Reuters. 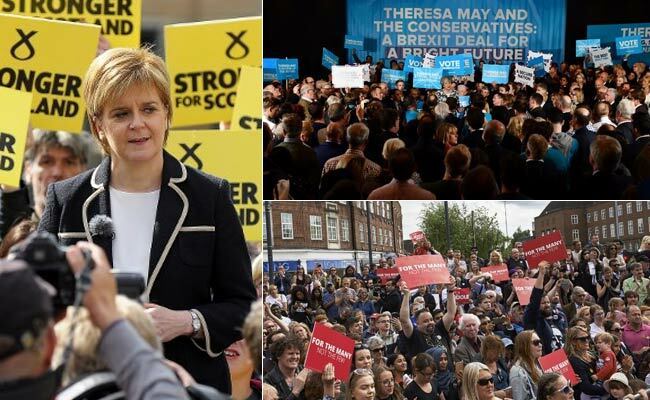 The Conservatives were set to win 314 seats, followed by Labour on 266, the Liberal Democrats on 14 and the Scottish National Party on 34, the poll for the BBC, Sky and ITV showed. 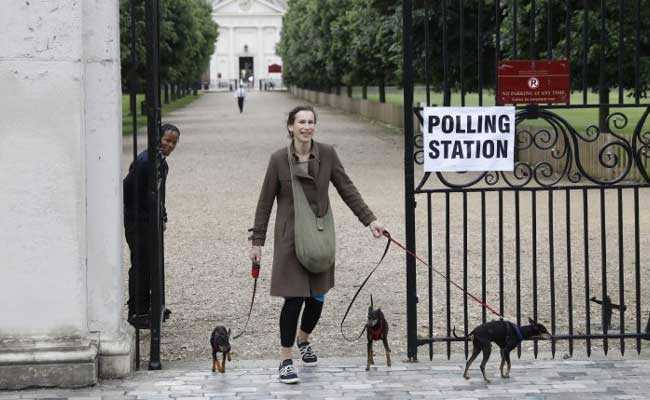 Exit poll shows no party wins overall majority in British election, reports news agency Agence France Presse. It also shows that Theresa May is expected to continue her stint as Prime Minister of Britain. 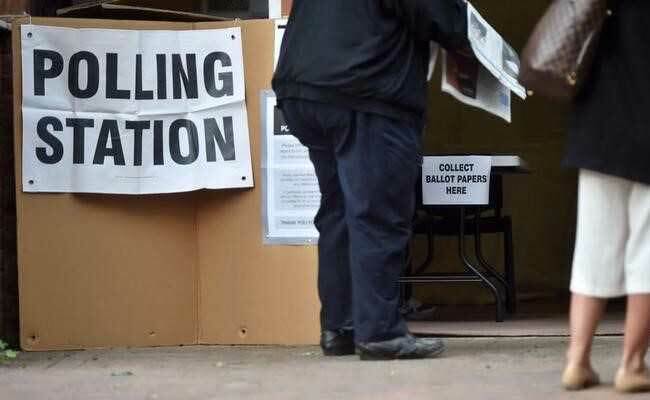 Voting closes across Britain. Counting is beginning shortly. Conservative: The current Prime Minister Theresa May is the candidate for this party. They're called tories by common folk. She has repeatedly called for "strong and stable leadership"
Labour: This is the opposition party. Their socialist leader Jeremy Corbyn is leading the front for them. This time he personally met many young voters. Liberal Democrats: They were almost wiped out in the last elections. Their candidate is Tim Farron. Scottish National Party: This party only puts up candidates in Scotland. Their candidate, Nicola Sturgeon, is the current First Minister of Scotland. UK Independence Party: This pro-Brexit party has lost its only Member in the Parliament. 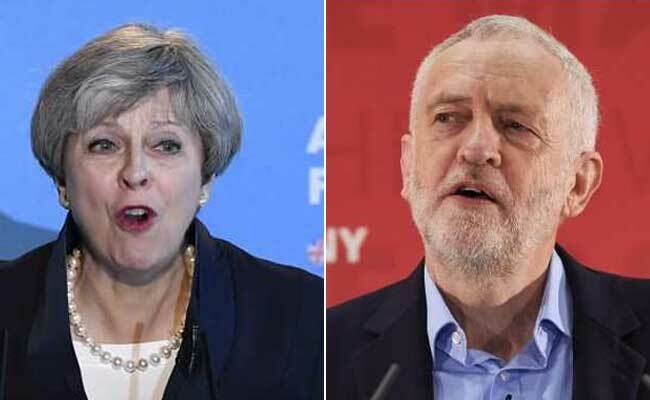 Pollsters say, that the contest effectively is between Theresa May and Jeremy Corbyn. Europe's main stock markets drifted higher at the open on Thursday in cautious deals as Britons began voting in a snap general election. The campaign was hit by a suicide bombing at a Manchester concert on May 22, which killed 22 people including seven children, followed by Saturday's knife and van attack in central London, which left eight dead. 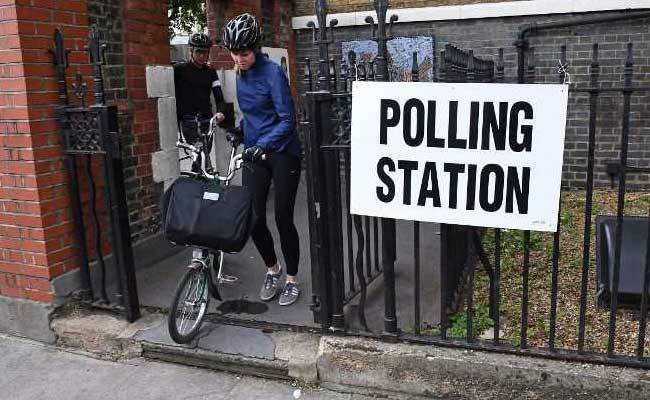 It is the third time Britain has gone to the polls in two years, twice for a general election and once for the EU referendum, and voter fatigue appeared to be an issue among the early voters. With security high, millions of voters are casting their ballots in polling stations ranging from schools and public buildings to churches, pubs and even a windmill and a launderette. Conservatives: Prime Minister Theresa May has already outlined her negotiating demands, saying she will seek a departure from the European Union's single market and an end to free movement of people. Labour: The party will accept Britain's departure from the European Union, but will fight to retain benefits of the single market, vowing in its manifesto not to leave the bloc without a deal. Conservatives: The Tories will try to reduce annual net migration to the tens of thousands, down from 248,000 in 2016 although some senior party figures are sceptical whether this can be achieved. May has promised that Britain will end freedom of movement with European citizens following Brexit. Labour: Jeremy Corbyn's party has made no pledge to reduce immigration, saying in its manifesto that it "believes in fair rules and reasonable management of migration". 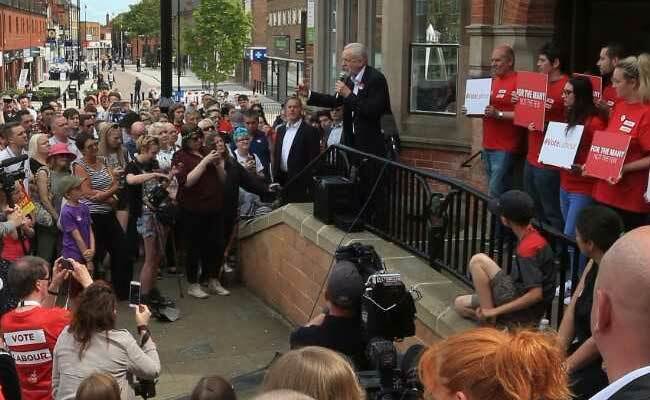 Jeremy Corbyn: Radical Peril Or Amiable Underdog? 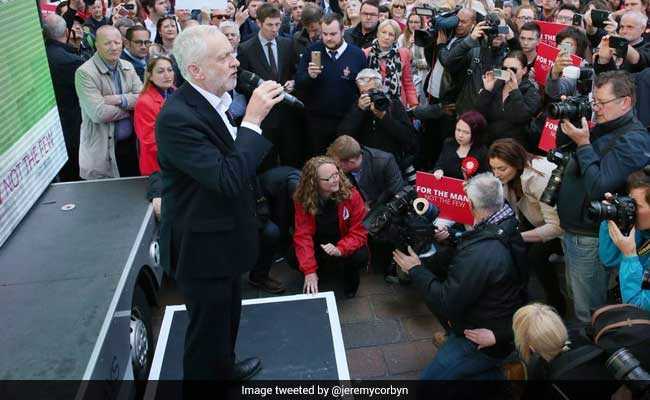 A 68-year-old socialist stalwart who has never held major office, opposition Labour party leader Corbyn began the campaign as rank outsider, trailing Prime Minister Theresa May on the existential question of Brexit. 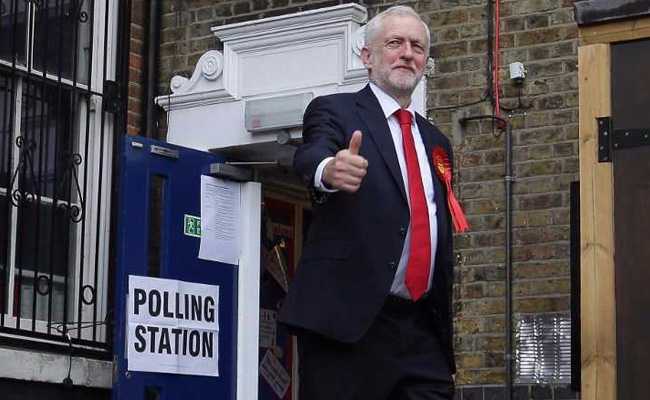 Polls initially supported Theresa May gamble, giving her Conservative Party a double-digit lead over its nearest rival, the main opposition Labour Party. 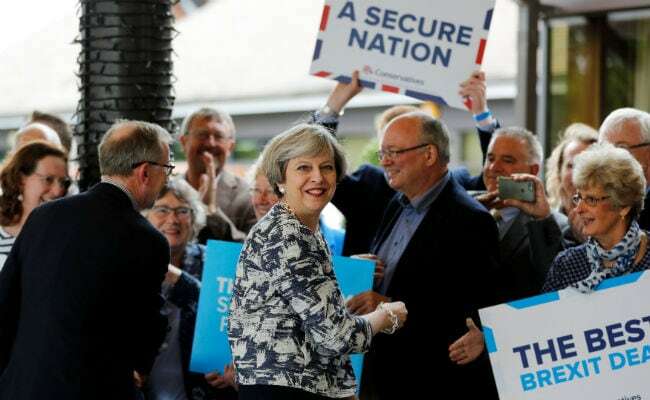 However, the Conservatives' advantage has eroded over the campaign, with pollster YouGov even suggesting on May 30 that the party could fall short of a majority, meaning they would need the support of another party to govern. But in its latest estimations published on Wednesday, YouGov put the Conservatives seven points ahead of its long-time rival. ICM put the Conservatives a comfortable 12 points ahead of Labour, a vast difference to a Monday poll by Survation which forecast a gap of just one point. Candidates contesting from top positions are Theresa May from Conservatives and Jeremy Corbyn from Labour Party. Theresa May, who came to power without a national vote last year after David Cameron's resignation, called the election three years early after just one year in charge.